While non-fans may find the level of detail to be overkill, this is an impressive book, both as a history of the band and as a cautionary tale for aspiring artist. unlike most books of this type, without you has a real feel for creating dimensional characters--the reader feels like he really knows these people. pete ham is mostly portrayed as saintly--a generous, sensitive genius--while joey, polley and others are potrayed much less sympathetically. in all cases, however, the views are balanced; a conscious effort is made to be fair. from my perspective, this is a great read for anyone interested in the music business--the stories of the naive, self-destructive musicians, exploitative managers and unfeeling record industry strike a universal chord. 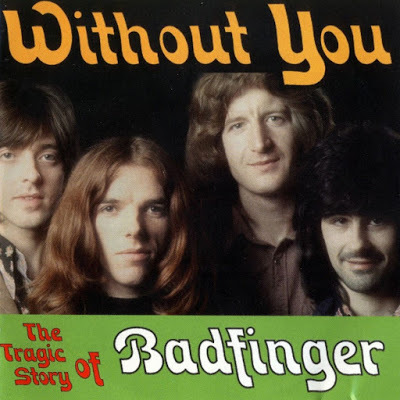 those unfamiliar with badfinger's music--hugely underrated, in my view, will be tempted to check it out. I have to challenge the under appreciated tag. They had top ten hits, their early albums were in the charts, none less than the Beatles recognized their talents, with Paul and George independently taking a personal interest in them, and millions loved and still love their music. Oh, they were appreciated alright. The only 'uns' involved were being under served by their management and being unprepared for and unprotected from the manipulation and greed to be found in humanity.